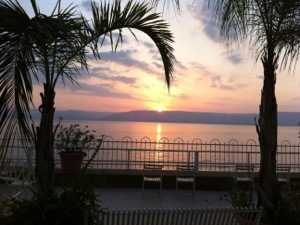 This is what greeted us first thing as we arrived at the Sea of Galilee this morning! Check out my summer newsletter. “Fun Stuff” like good catholic jokes and a 30 second mystery. A tribute to father who just died a few weeks ago…find out what’s in his pockets. Pictures from our mission trips all over Asia & a request for prayers another this year. A fabulous discount on my favorite Bible Study Software for your computer and mobile device. 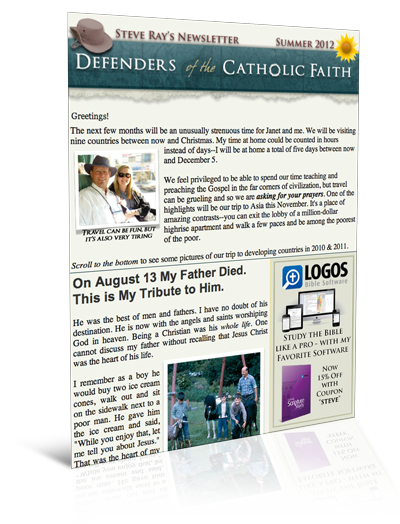 Find out about upcoming pilgrimages and see a cool 3 minute video about the Holy Land. A super deal on my most popular Audio CDs (cheap enough to hand out at your parish).